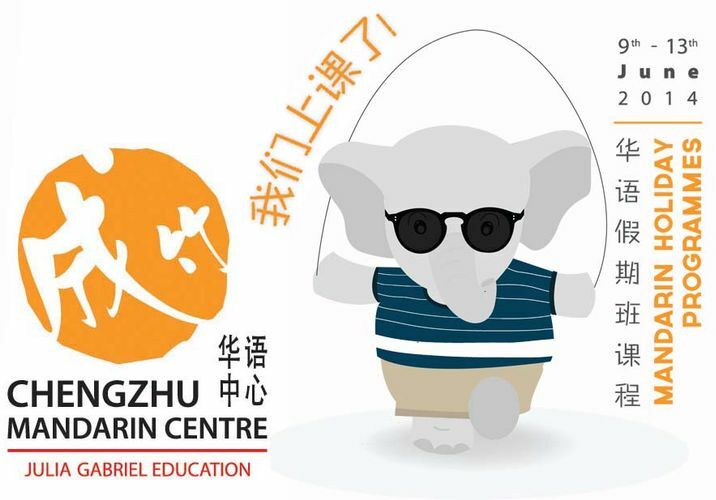 Ignite an enthusiasm for Mandarin and a curiosity in Mother Nature this June at Chengzhu Mandarin Centre with holiday programmes from 9th to 13th June 2014. Thoughtfully designed for children aged 6 months to 9 years, with the aim of developing children’s interest and confidence in the Mandarin language, these programmes utilise fun-filled interactive activities to stimulate children’s imagination as they explore the great delights of the outdoors. With the advent of spring a crowd of creatures have entered the garden. Discover what keeps the colourful butterflies, birds and honeybees in the garden busy through stories, music, and art and craft activities. This programme features a field trip to the Jacob Ballas Children’s Garden, where children will have the opportunity to unravel the secrets of nature first hand. Experience nature close at hand at the Botanic Gardens, where the caterpillars, the trees and the sun all meet as friends. Stimulate your child’s imagination and interest in language learning through storytelling, art and craft, Chinese songs, drama activities and a trip to the Botanic Gardens with this fun and interactive holiday programme. Embark on an adventure with Little Bat in this Chinese Cultural Arts programme as he explores the forest and learns new tricks from the swallows, ducks, frogs and bees. Designed to ignite children’s interest in the Chinese culture to bolster their appreciation for Mandarin and their oral communication, this holiday programme incorporates stories, music and movement, nursery rhymes and traditional Chinese ink painting. Discover the secrets of the night with a trip to the mangrove swamps of Pasir Ris through this holiday programme, which promises to inspire creativity, imagination and empower your child’s communication in Mandarin. Incorporating stories, drama activities, speech exercises, word games, prop-making and other multi-media aids, this programme enhances children’s Mandarin vocabulary and bolsters their listening, speaking, reading and writing skills. These Mandarin school holiday programmes will be held at Chengzhu Mandarin Centre, #03-01 Rochester Mall, 35 Rochester Drive, Singapore 138639. A special 15 per cent group discount is available for registrations of four or more children, and a 10 per cent discount will be offered for DBS/ POSB credit cardholders. Only one discount is applicable per student.